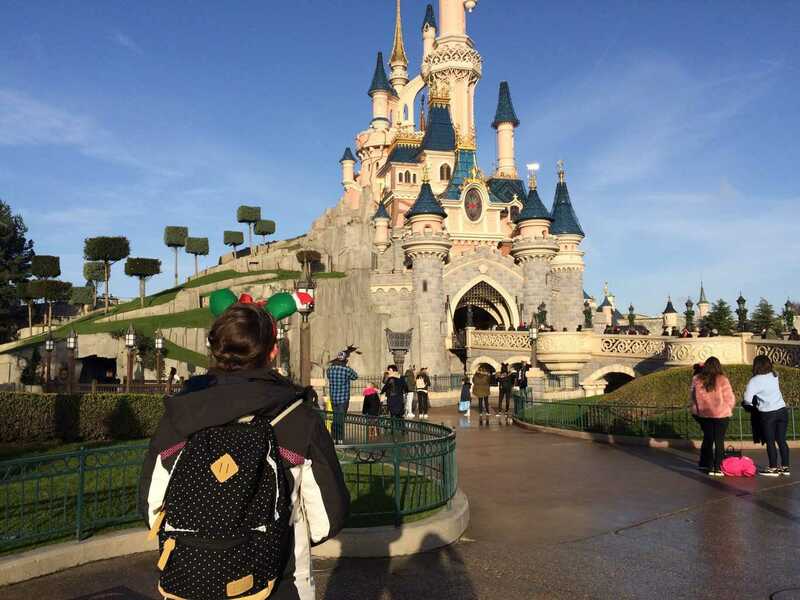 Girl Gone London > Travel > France > Disneyland Paris at Christmas Review: Should You Make a Christmas Trip to DLP? 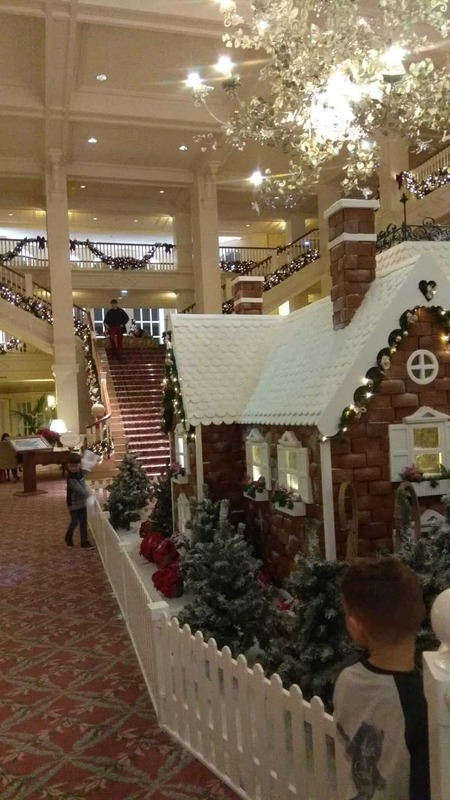 Disneyland Paris at Christmas Review: Should You Make a Christmas Trip to DLP? 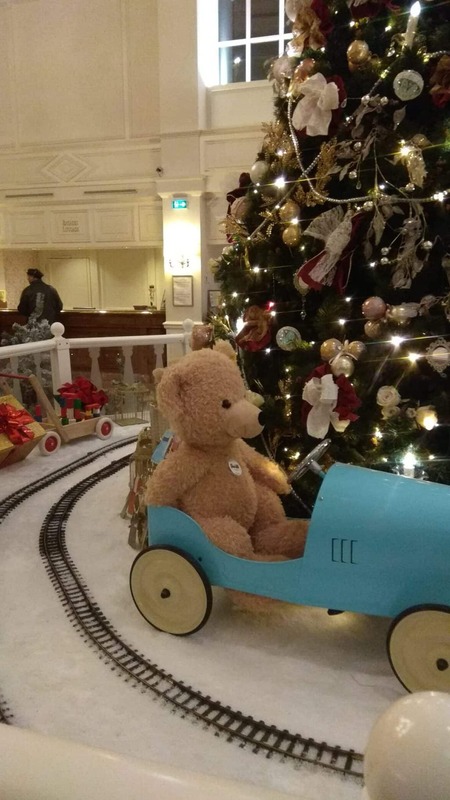 I had no idea what to expect visiting Disneyland Paris at Christmas, so I thought I’d do this Disneyland Paris at Christmas review for anyone hoping to go to this magical place before or during the holidays. 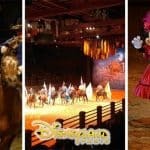 This isn’t a review of Disneyland Paris itself, but rather of the experience of going when we did (a few days before Christmas). 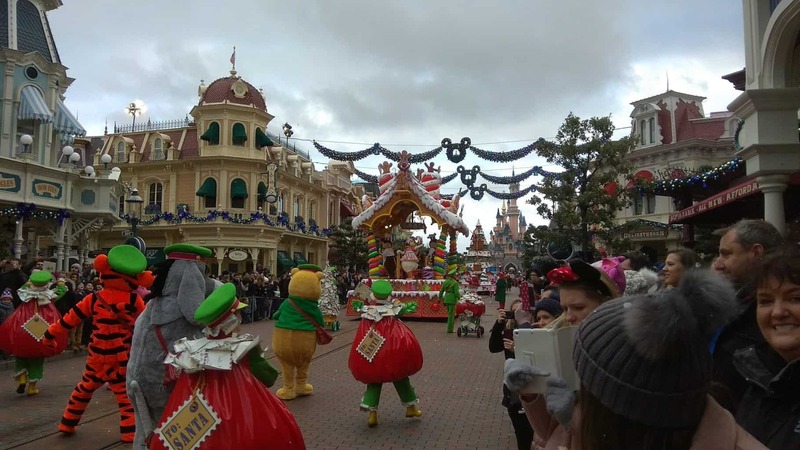 One of the things I was most excited for and one of the most important parts of any Disneyland Paris at Christmas review as a first timer visiting Disneyland Paris are the Christmas decorations. I LOVE Christmas, and the decorations I’m used to at Walt Disney World are always stunning. Lights, tinsel, ornaments, trees – you name it, Disney goes the extra mile. 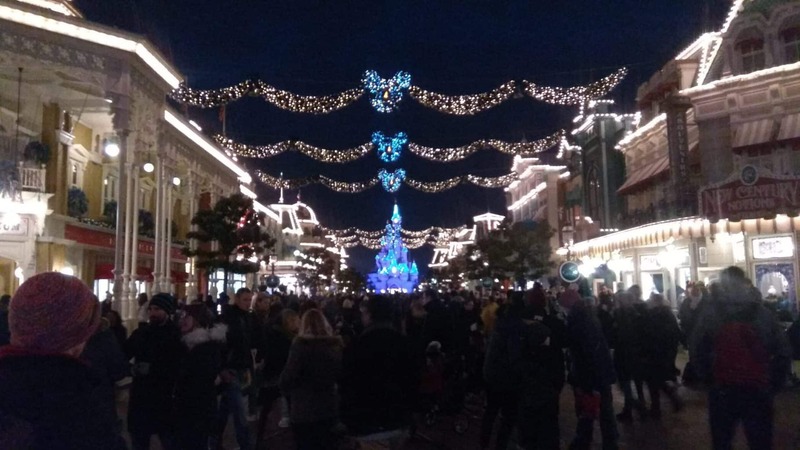 So I was extremely pleased with the festive atmosphere at Disneyland Paris over Christmas. 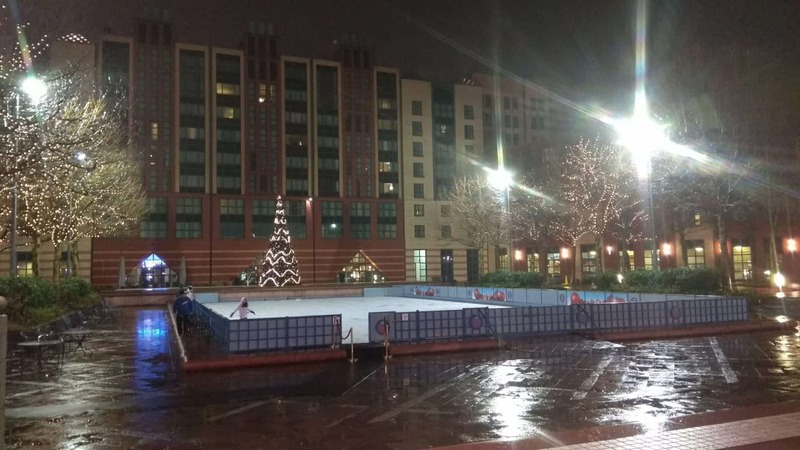 There wasn’t an inch that had gone untouched, with Christmas trees in all of the hotels and in the parks, beautiful lights strung around the buildings, cute Disney winter-themed decorations, and more. 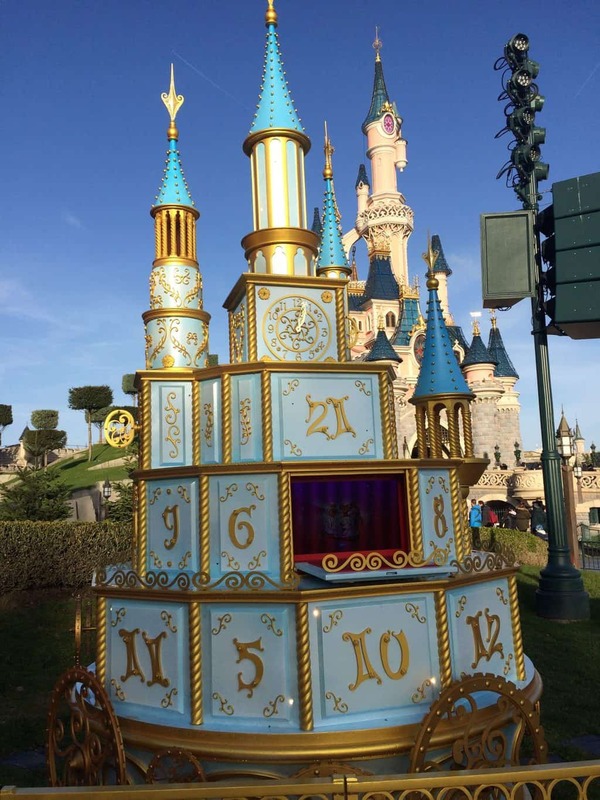 The Disneyland Paris shows at Christmas are the #1 reason you should go. 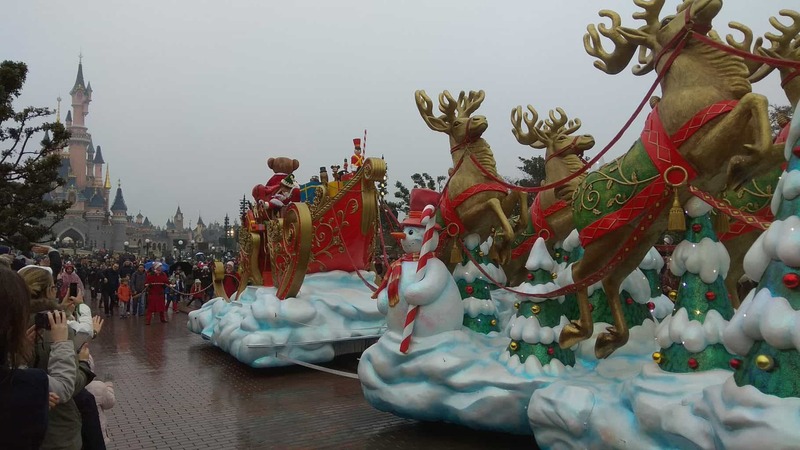 There is a Disneyland Paris at Christmas parade on every single day, in addition to the regular parade in the main park. 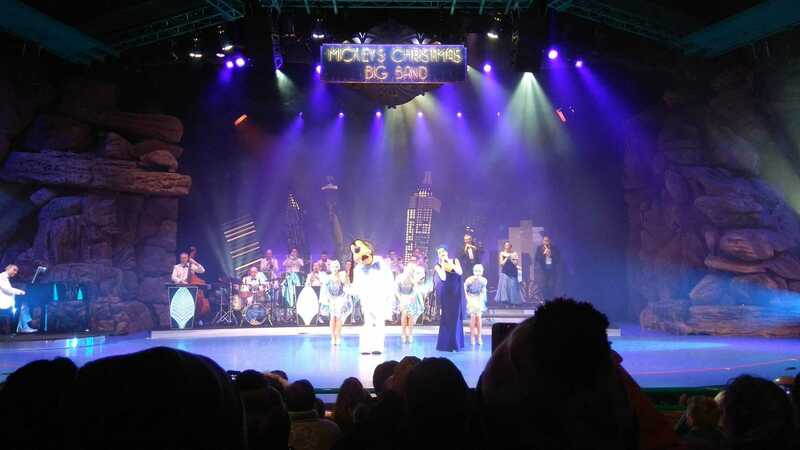 There are constantly Christmas-themed shows happening across the park, including one of our favorite, “Mickey’s Big Band” and some carol sessions at the Walt Disney Studios Park. 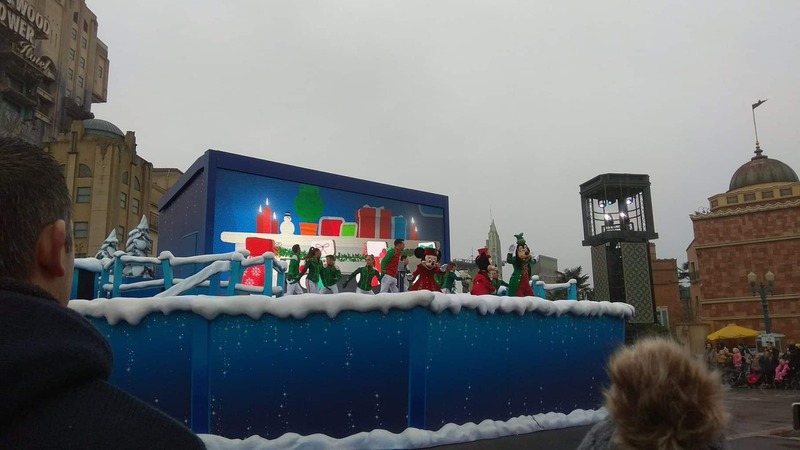 I haven’t been to Disneyland Paris in other seasons, but I got the impression from cast members that there usually aren’t as many live shows on and the Christmas season is a special one for them. We were there for 5 days and it was only at the end of the fifth day that we had managed to do everything. 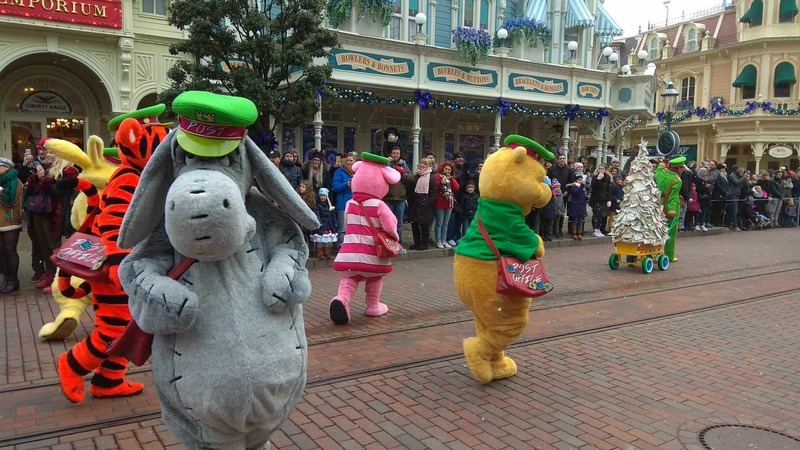 One of the thing I was most worried about were the Disneyland Paris at Christmas crowds. No one likes crowds, but everyone likes Christmas (okay, a lot of people). 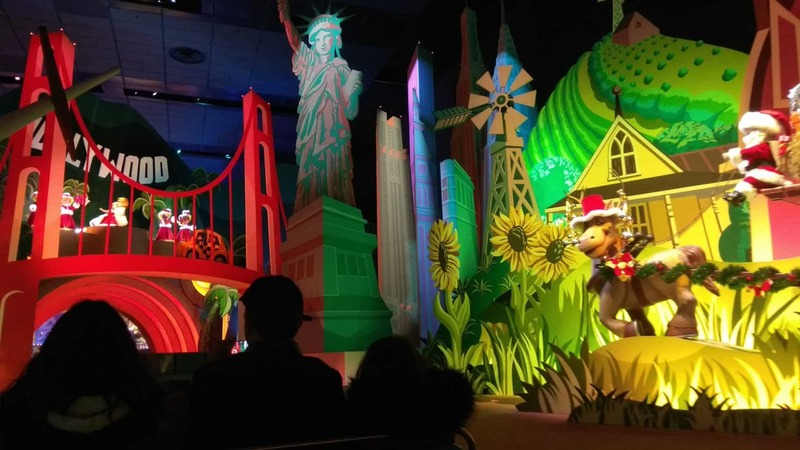 So I feared wall-to-wall crowds and lines stretching all the way through the park. Luckily, this wasn’t the case, as we traveled from December 17th to 22nd, right before most schools let out. If you travel after this point and actually during the Christmas holidays, the parks will be much more crowded than we experienced. 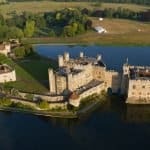 We were able to do everything we wanted to do, and though we did make sure to have all of our dinner reservations ahead of time and planned things carefully, we never felt overwhelmed with crowds. 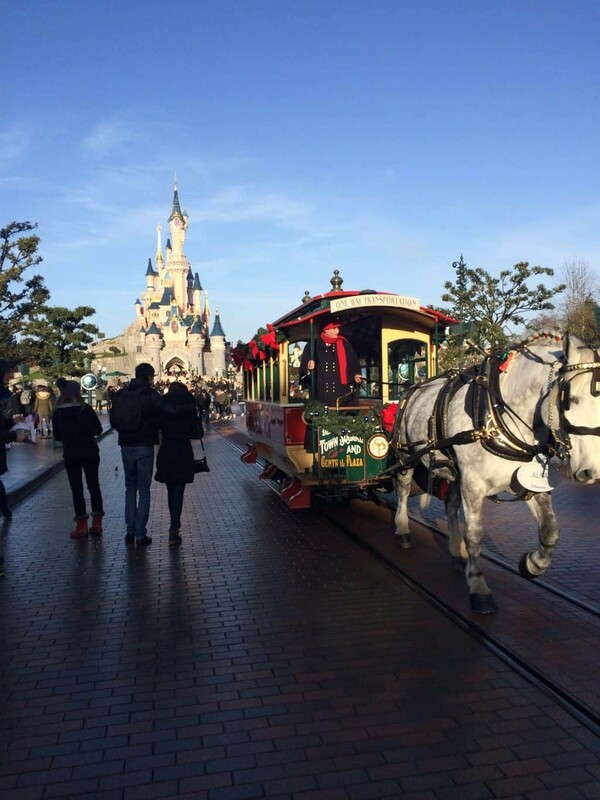 Disneyland Paris at Christmas shopping is FANTASTIC! We didn’t come home with too much because we didn’t have rooms in our suitcases, but in every single store you could find Christmas-themed special edition items including home decor, clothing, books, toys, and more. 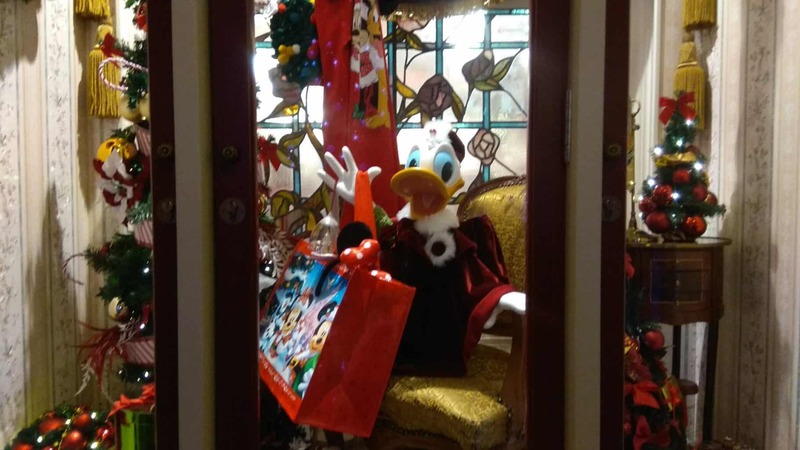 I fell in love with the shop windows decorated with Christmas cheer, and you’re going to want to bring a heavy wallet if you want to make the most of this aspect of Disney. My second concern after the crowds was the weather. I feared it would be cold, rainy, cloudy, and ruin the vacation. I was right on a few things: it was cold, it was rainy (more drizzly than proper rain), and cloudy for the most part. But in no way did it ruin the vacation. There’s something so magical about Disney that I swear I do not remember the weather at all. We bundled ourselves up and made sure to wear waterproof boots, but it did not hamper our vacation one bit. Also it helps that it gets dark really early that time of year so you don’t even notice the clouds in the evening – it just looks beautifully lit up! We did have one morning of sunshine, and I am very thankful for that. If you’re debating going to Disneyland Paris at Christmas, I’m going to have to ask you to stop and just BOOK IT RIGHT NOW. Oh, and take me with you. You can’t beat Disney at Christmas, especially if you’ve never done it before. The cold, the potential snow, and the crowds are all part of the experience. The decorations, Christmas tree lighting ceremonies, and all around friendly atmosphere make it all worth it. 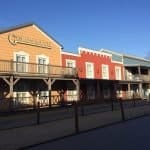 We did a Disneyland Paris adults-only trip, but no matter how you travel, it’s going to be a great time. 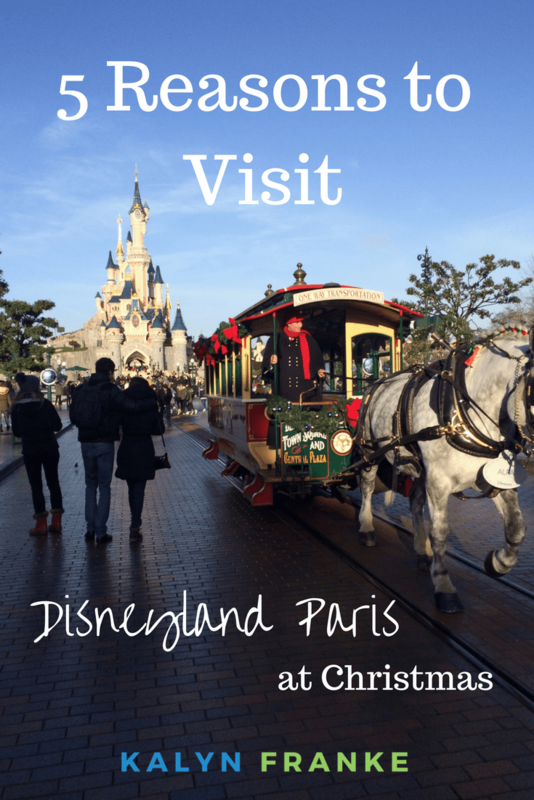 We’ve already decided we’re going to go back to Disneyland Paris at Christmas every other year, as now we’re hooked!